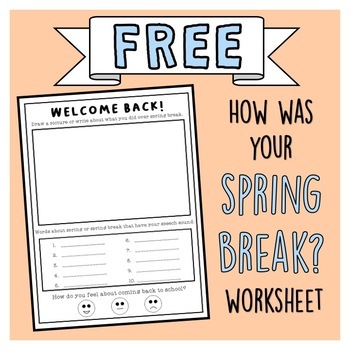 Download this FREE worksheet to talk about your students' spring break adventures! This is a perfect, no-prep activity for the first day back from spring break. Send home with students as homework practice! Please leave feedback to help others find my store!